Production sources tell TMZ that there are still people on the set -- especially writers -- who believe the dismissal of charges is a vindication, proving Jussie was a victim. Point of fact the State's Attorney believes Jussie staged the attack but felt it was a low-priority, non-violent crime that would have resulted in a punishment of community service, so why bother. 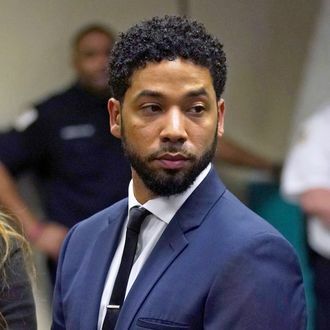 There are a number of people on the "Empire" set who share the view that Jussie staged the attack and are shocked by the lack of consequences ... and don't want him back on the show. They are especially offended Jussie allegedly faked the attack to squeeze more money out of producers. The contingent who are angry at Jussie believes he's a liability to the show and should be cut if the show comes back for season 6. One thing has united the cast ... they are all thrilled the case is now closed because they believe it's a threat to the show's future.